Blog How Much Are You Going to Pay for Your Medicare Part B? How much are you going to pay for your Medicare Part B? Standard, More, or Free? Most people on Medicare, do not pay for their Medicare Part A premium, but do pay a premium for Medicare Part B. Now that we’ve covered the basics on the Standard Medicare Part B premium as well as the Income-Related Monthly Adjustment Amount, you can qualify for free Medicare Part B premium if you fall under any of these categories. Don’t hesitate to call us at 1-800-356-3615 if you need more information about your Medicare Part B. The qualifying individual (QI) allows you the highest income limit. If you qualify for a QMB, SLMB, or QI program, you automatically qualify for a year-round Special Enrollment Period (SEP) as well as extra help. Under extra help, you will pay no more than the low-income subsidy drug coverage cost limit. In 2017, the costs are no more than $3.50 for each generic/$8.25 for each brand-name covered drug. Your year-round SEP allows you to qualify for not only a traditional Medicare Advantage plan, but also a Dual Eligible Special Needs Plan (D-SNP). The coverage for the D-SNP not only covers the traditional benefits of Medicare and/or Medical, but generally includes extra benefits as well, such as dental, vision, and free transportation. The only way you’ll get qualified under one of these programs is to fill out the paperwork. 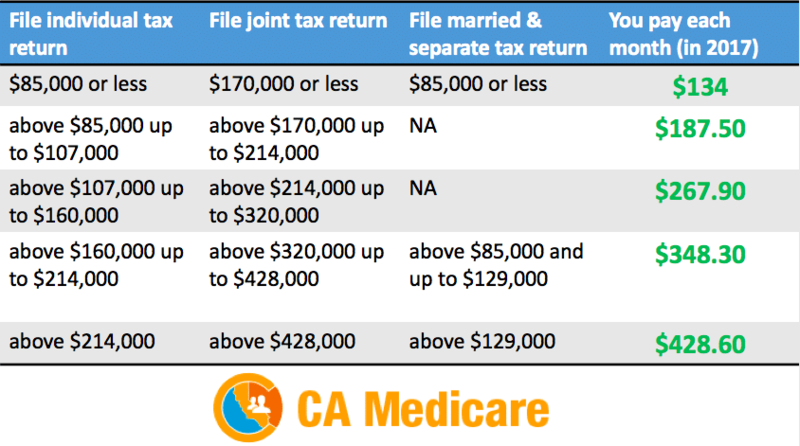 At CA Medicare, our licensed agents will help you fill out the paperwork so you can receive free Medicare Part B. Call us today at 1-800-356-3615 to fill out the paperwork today. We will help you save time and money.